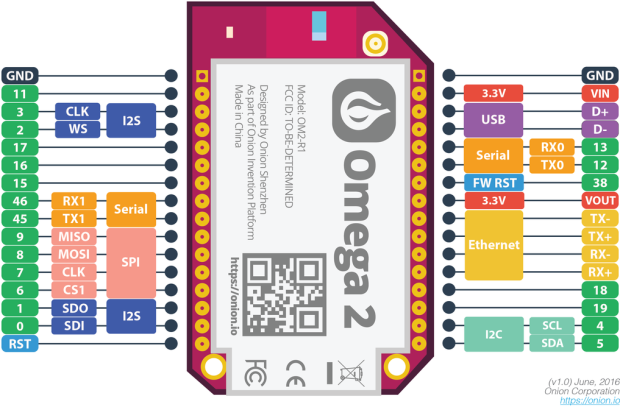 Just a quick update - with the Omega2 this will all get much easier, as the Omega2 has a second serial port on the pins that were labelled GPIO 13 and 14 on the Omega1 (see new pinout). And these pins are available on the dock connector! Also the software side will be probably simpler, because the second serial port will not be occupied by the system console.